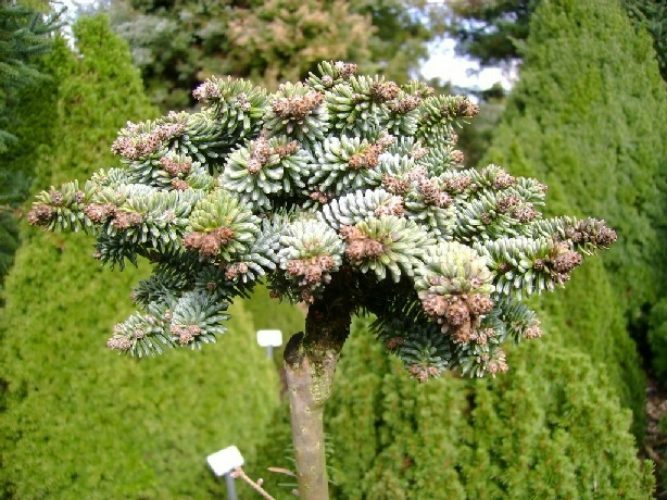 Abies pinsapo var. 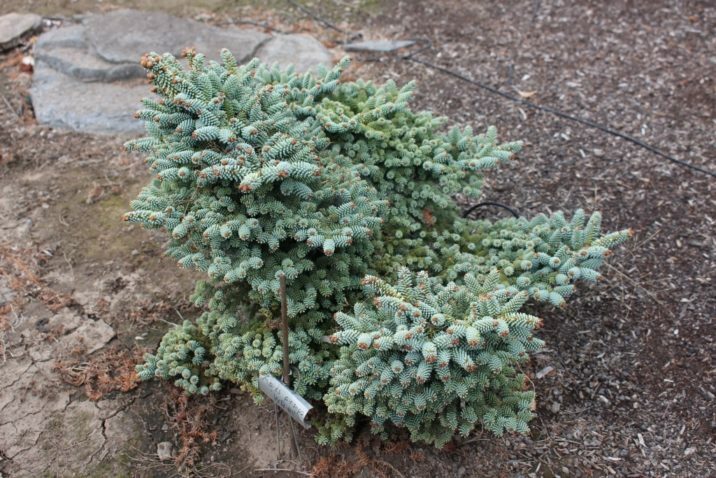 marocana ‘Atlas’ is a fairly recently-introduced dwarf cultivar of Spanish fir. It is the most diminutive of the four Eschrich brooms, this one a true miniature. 'Atlas' will grow into compact irregular ball with short Blue needles, radially arranged around the branches, typical of the species. Typical growth rate for most areas is less than 1 inch (1 – 2 cm) a year creating a small bun less than 12 inches (30 cm) tall and wide after 10 years of growth. Because this cultivar is so new to the trade, it is difficult to say what its precise mature form will be. Günhter Eschrich of Recklinghausen, Germany found this and four other Abies pinsapo cultivars while on a brooming expedition in Morocco in the early 2000s. All were derived from witch’s broom mutations found in a natural population of Spanish firs. Eschrich provisionally named ‘Atlas,’ #2. The other named varieties are ‘Fatima’ (#1), ‘Tuarek’ (#4), and ‘Marokko’ (#3). All of these selections are similar, yet distinct in their own way. Abies pinsapo 'Atlas' — an old mature plant at the Flora Wonder arboretum, Gaston, Oregon. 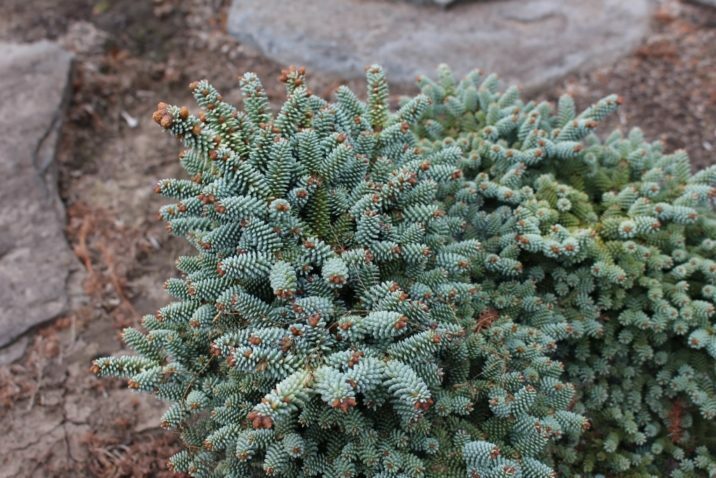 This was likely one of the first propagations in the U.S.
Abies pinsapo 'Atlas' — a closeup of foliage detail.